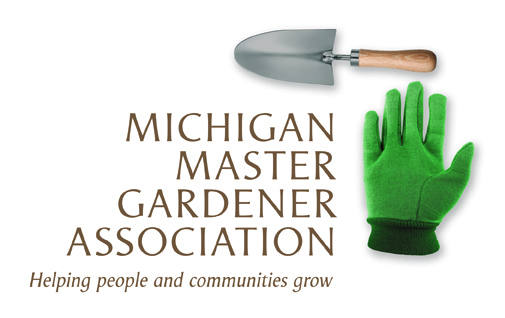 2019 PLANTS OF DISTINCTION / Novi — Michigan Master Gardener Association, Inc. Beat the winter doldrums and attend the 2019 Plants of Distinction Seminar! Winter can seem especially long and cold to plant enthusiasts who revel in spending time creating and enjoying their garden and landscape. To beat the winter doldrums and get energized for spring, join nationally renowned horticulturists and fellow “plant geeks” at the daylong Michigan State University Extension Plants of Distinction seminar. The interface between land and water is an area with diverse plant material that can handle even the most extreme conditions. These tough plants are not only ecologically important by preventing erosion, capturing sediment, and providing habitat for wildlife; they can also become beautiful and unusual specimens in your garden, floral arrangements, and even culinary curiosities. Marginal plants are welcome additions to “problem areas” within your garden or landscape and after you fall in love with their blooms and bold texture, they might even replace many traditional plant selections. We will get our feet wet with a look at buttonbush, sweet flag, swamp hibiscus plus many other flowering and non-flowering plants that thrive at the water’s edge. One of America’s favorite plants, the hydrangea, is one of the most exciting groups of shrubs sold and grown in the Midwest. Sometimes gardeners can be mystified by how to select and manage these outstanding beauties for maximum performance. Join nationally noted horticulturist Tim Wood, The Plant Hunter, as he highlights hydrangea species that are best suited for our climate and the most reliable bloomers. Tim will share the newest varieties, future breeding trends and how to care for each type. If you love hydrangeas this is the talk for you! From old classics to current trends, David will present an overview of perennial plants that have stood the test of time. From his unique perspective from a long career in the nursery and horticulture industry, David will also reveal future glimpses of plants that are sure to become our new garden favorites. As creator of his celebrated Pennsylvania garden, Brandywine Cottage, it’s a challenge to pick only 50! These are the perennials you simply must start with to become the basic bones of your garden. After the vibrant colors of fall fade and the gray skies of winter engulf our Great Lakes State, it can be a bleak time for gardeners seeking the comfort of a bloom or the scent of a flower. Imagine unlocking a secret to extending garden interest during these mundane times. From intriguing colored stems, breathtaking bark, and even winter blooms, Matthew will highlight winter beauties that have made his favorite plant list. Learn how to integrate many outstanding plants whether it is book-ending your winter landscape with witch hazels, mass planting uncommon bulbs and corms, or selecting the best colored stems to edge your gardens. You will be amazed by the plethora of plants that can ignite the winter landscape.